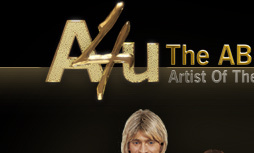 What do music critics say about the act “A4u”? It appealed to all age groups, to people from Borkum as well as to those on holiday there; and so it was that they arrived in droves on the island of culture in order to reminisce once again. As 620 tickets had been sold, the concert hall was almost completely full when A4u – comprising four quality artists – imitated the unforgotten Swedish group Abba so fantastically that the audience was immediately infected with enthusiasm and went quite beserk. The absolute perfection of this revival group could be seen from the very beginning by their extravagant costumes, the originals of which had created a whole new fashion in the 1970s. 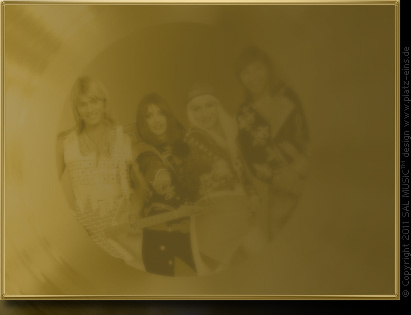 The outfits included hot pants and mini-skirts combined with silver lace-up platform boots, crocheted waistcoats, crocheted hats on the blonde hair of Agnetha and the brown hair of Anni-Frid as well as fringes on the brightly coloured jackets and skintight jeans of Björn and Benny. 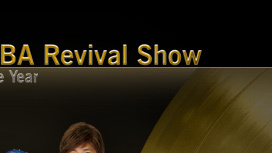 It was easy to see why this group has long captured the great stages of festivals and of German regional television and why it won the Revival Award 2003 of the Luxembourg radio and television company RTL. 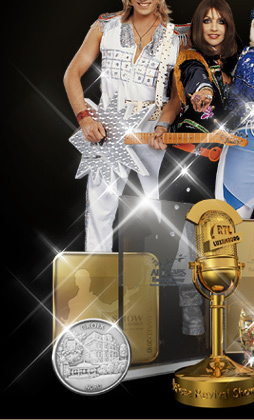 Whether standing in dazzling spotlights or shrouded in velvety stage mist, Ute (as Agnetha), Simone (as Anni-Frid), Frank (as Benny) and Lutz (as Björn) looked liked their role models in every way and together presented a show which left out none of the things that had once put the modern world on tenterhooks. The A4u musicians sent the enthused audience into raptures of applause with their accurate choreography, charming facial expressions and gestures but above all with their musical arrangements of Abba’s biggest hits of which only “Dancing Queen”, “Mamma Mia” and “Waterloo” can be mentioned here. Impressive artistic sensitivity, extravagant cheerfulness and excellent vocals combined with an ever-present and most passionate emotional involvement and a wonderfully balanced sense of vitality to create tremendous supremacy in all facets of their musical expression and thus demonstrating a high level of ability. The delightful changes in mood, especially in the a capella insertions, served as proof of the extensive technical and vocal supremacy as well as the classic dynamic message of the quartet; the four clearly succeeded in copying the typically strong rhythmic expression of Abba. Following much applause, the celebrated Abba revival quartet was pleased to play several encores which put the audience of the concert hall into the same high spirits of the 1970s with Abba once again. 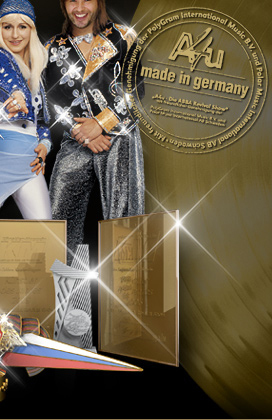 The ABBA Revival Show was nominated by the German “Künstler-Magazin” (Artists’ Magazine) as Artist of the Year 2006 in the category Revival Shows and will be presented with the Golden Artists’ Magazine in the Böblingen Congress Hall on 20th October 2006.